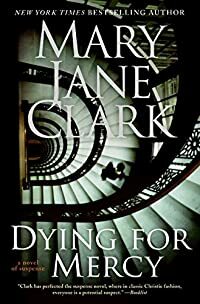 Dying for Mercy by Mary Jane Clark: Synopsis and Online Purchase Options. Synopsis (from the publisher): When death shatters the serenity of the exclusive moneyed enclave of Tuxedo Park, New York, Eliza Blake, cohost of the country's premier morning television show KEY to America, is on the scene. While attending a lavish gala at her friends' newly renovated estate, Pentimento, Eliza's host is found dead—a grotesque suicide that is the first act in a macabre and intricately conceived plan to expose the sins of the past involving some of the town's most revered citizens.